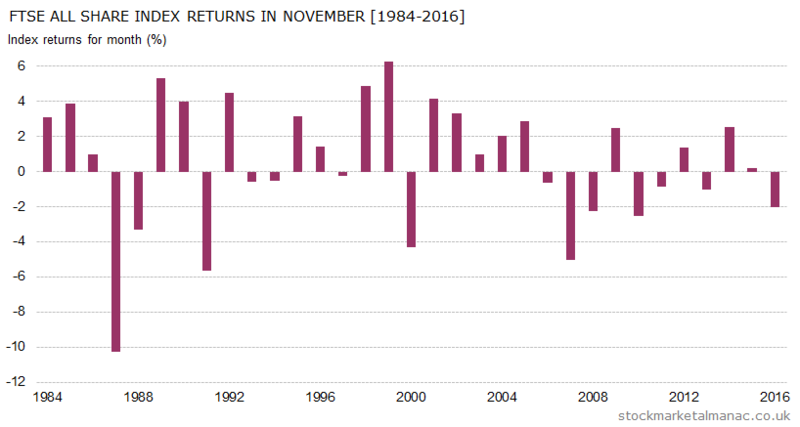 Since 1990 the FTSE All-Share Index has seen an average return of 0.7% in the month of November; with positive returns in 15 of the last 27 years. This ranks November in the middle of the 12 months for equity performance. However, in recent years the market has been noticeably weak in November ­in the last 11 years the Index has only seen positive returns in the month in three years. 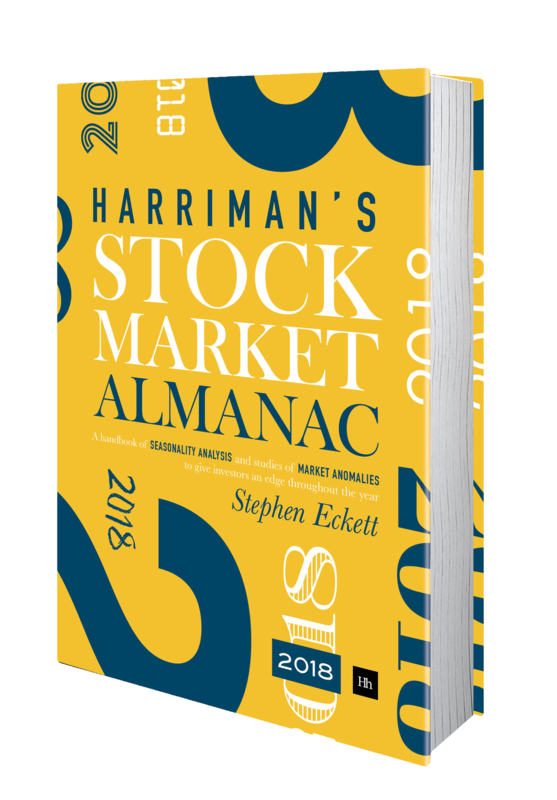 The significant feature of November is that it marks the start of the strong six-month period of the year (November to April ­ an aspect of the Sell in May effect). In other words, investors should be increasing exposure to the market this month (if they haven’t already done so in October). In the last ten years the FTSE 350 sectors that have performed strongly in November have been: Beverages, Electronic & Electrical Equipment, Fixed Line Telecommunications, Food Producers, Life Insurance, and Travel & Leisure. While the weak sectors have been: Aerospace & Defense, Banks, Oil & Gas Producers, and Real Estate Investment Trusts. Since 1981 the US Federal Open Market Committee (FOMC) has had eight scheduled meetings per year, the timing of which is quite irregular. Each meeting is two days long, with a policy statement released at the end of the second day (1 November this month). Many academic papers have studied the effect of these FOMC announcements on financial markets. One such paper found large average excess returns on U.S. equities in the 24-hour period immediately before the announcements (an effect the paper called the “Pre-FOMC Announcement Drift”). According to this paper, “about 80% of annual realized excess stock returns since 1994 are accounted for by the pre-FOMC announcement drift”. It might be added that a similar effect can be seen for the UK equity market as well. The average daily return for the UK market in the 24 hours before the FOMC statement is 0.33%, over ten times greater than the average daily return on all other days. Besides the FOMC statement other dates to watch for this month are: 2 Nov – MPC interest rate announcement at 12 noon, 3 Nov – US Nonfarm payroll report, and 23 Nov – Thanksgiving Day (US), NYSE closed. Further articles on the market in November. This entry was posted in Market, News, November and tagged month review by Almanacist. Bookmark the permalink.